CCC are experts in low-rise façade cleaning procedures. It’s one of our specialties. Facades can define the identity of a building. Every building has a unique facade which in fact, is its distinctive signature. It therefore follows that the facade must be kept in impeccable shape through regular and effective cleaning. Facade cleaning is one of the toughest challenges that cleaning professionals face. As every building has a specialized facade, they must bring all their experience and expertise to the task to make sure the job is done competently. 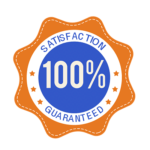 To keep building exteriors in great shape, it is imperative that you engage the services of an experienced cleaning service specializing in external cleaning. The highly-trained specialists use the most suitable tools and technologies to deliver highly enhanced facade cleaning results. Why is it important to clean facades regularly? It makes smart economic sense to clean your building facade three to four times a year rather than just one extensive cleaning operation annually. When you clean facades regularly, you use less water and chemicals with every subsequent cleaning and cleaners won’t have to deal with stubborn and tough dirt and mineral deposits. Your building exteriors will need less maintenance which makes better financial sense and it will keep your facades looking good all year round. Cleaning it only once a year or even less regularly could result in unmovable and unsightly stain build-up. Regular cleaning also prevents accumulation of mold and mildew which can severely affect the look of your building’s exterior. It can reduce the cost and time taken for every subsequent maintenance effort and also help in increasing the value of your property. Modern buildings have complex facades which simply cannot be cleaned using conventional external cleaning methods. Using advanced methods that involve the latest cleaning techniques and sophisticated tools are a must, not only for maintaining the aesthetics of the building but also for successful and effortless future maintenance along with a cost-effective strategy. Of course, it also helps extend the life of your property. Glass, marble, plastic, tiled, and cement rendered facades are extremely popular in Perth buildings nowadays, especially in the commercial sector. Even residential buildings are using facades to enhance the look of their exteriors. Cleaning glass and plastic facades involves using a completely different approach than with walls that are often simply high pressure sprayed. It needs to be approached more delicately. 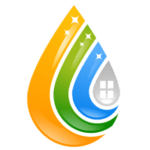 High pressure spraying glass or plastic facades will over time result in stains because minerals from the hard water will build up on the glass and plastic surfaces which is in many cases impossible to remove. Services of the best facade cleaning professionals must be engaged to keep such buildings in good shape. The best cleaning companies make use of modern technologies and highly trained and skilled staff to clean such surfaces at a height and to reach even overhanging facades and other complex structural designs. Hiring the right professional cleaning service is important to get high quality facade cleaning results. They must be able to do the task competently by putting into use sophisticated technologies and other resources. An empowered work force with extensive facade cleaning experience would definitely help you achieve a great looking, spotlessly clean facade.